Race Car Rubber Ducks - Fun to Collect! Rubber ducks are a classic toy kids of all ages enjoy. 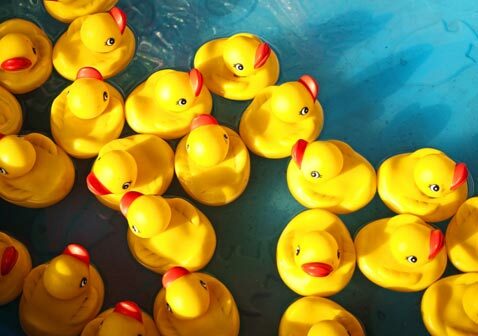 Race Car Rubber Ducks are ready to speed in to help decorate for your race themed event! Perfect to drop into goody bags too! You have ducks ready to race with helmets, ducks with wheels, and pit crew ducks ready to assist! Themed Ducks are NOT good floaters - for GREAT FLOATERS try these - Matching Ducks or Mini Neon Ducks! Each speedy rubber duck is 2".